I would like to thank EarSonics for providing Grace in return for my honest opinion. The Headphone List and EarSonics; it’s been a longstanding tradition of collaboration. Back in the early days average_joe and ljokerl covered almost every model they had to offer, while my personal interest in high-end portable audio was equally kickstarted by EarSonics in-ears as the SM64 and Velvet. Since then I’ve made a similar progression through the newer EarSonics models, and have been fortunate to witness firsthand the evolution of Franck Lopez’ designing touch. For instance, the EM32, Velvet, and S-EM9 all bore a strong resemblance, combining a highly detailed sound with an energizing bass. The EM10 in turn marked a departure to a different type of sound, focusing on tone rather than precision; a spiritual successor of models as the SM64 and EM6 perhaps. The EM10’s unique specialty however was its upper midrange, a region which traditionally always seemed a bit neglected with EarSonics models. In a way, the EM10 brought a new beauty to the sound that was missing in the lineup, although some might consider it an acquired taste. Their new model ‘Grace’ is again undeniably an EarSonics production in line with the S-EM9, but builds forth on this special element of the EM10. Quite frankly, neither the build nor accessories will be anything new for avid EarSonics fans. EarSonics is known to keep their designs simple, and again offers a classic black finish with the name ‘Grace’ in an orange-yellow hue. The shape of Grace’s shell is identical to that of the S-EM9, which have a semi-custom fit due to their oval form. The nozzles are slanted diagonally inwards and house three bores. 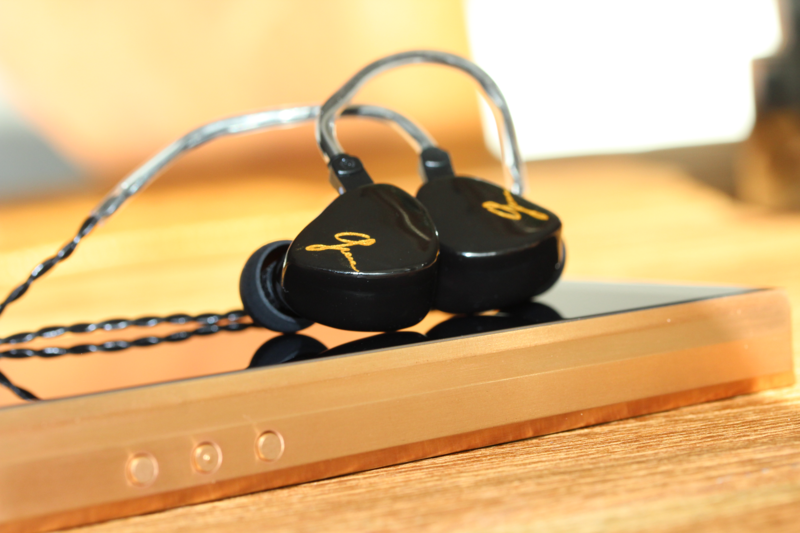 The smooth body and moderately compact size make it a comfortable earphone, which I can’t see providing fit issues for most people. At the top Grace makes use of a two-pin connection, and is accompanied by the trusty Plastic One 3-wire OFC cable. The exception of course is that EarSonics designs their in-ears with reversed polarity compared to most others. The box and packaging continues to progress with minimal adaptations. 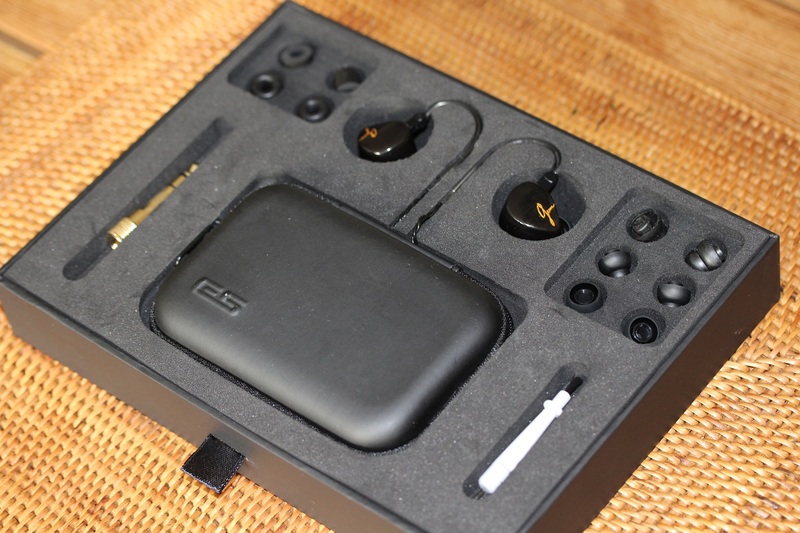 The box is a stylish matte black design, with a cover that folds backwards to display the earpieces. It’s a little bit of a puzzle to open up first, but makes for a beautiful presentation. The layout and carrying case remains the same, as well as the amount of accessories. EarSonics provides the mandatory cleaning tool and 6.3 mm adapter, as well as a small variety of foam and both single and bi-flange tips. It’s not an abundant collection, but should do for most people. 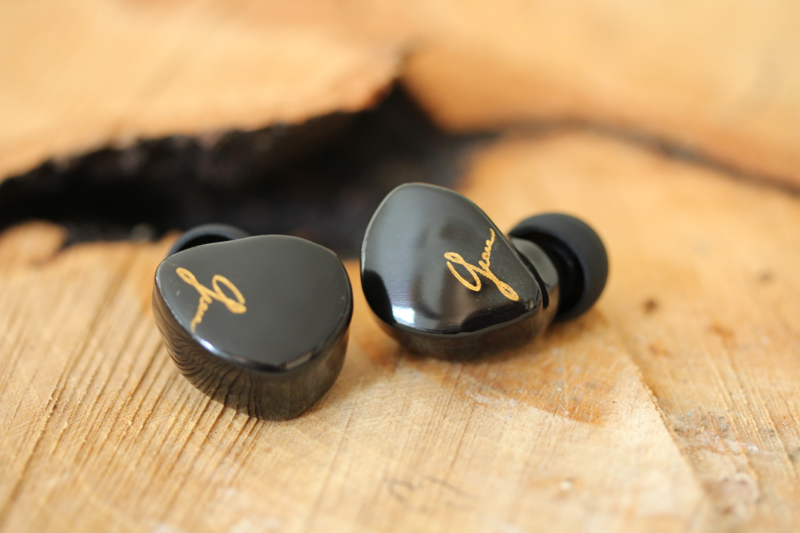 The primary change is that the classic EarSonics bi-flange tips have changed from gray to black, to now match the rest of the packaging and black earpieces of course. What dap could be a good pair with Grace?. I listen 90% of EDM. Hi there, sorry for my late reply I didn’t seem to get a notification or missed it accidentally. Grace is very suitable for EDM. What kind of dap matches well still depends on your personal preference and mostly budget. A ‘reasonably’ priced dap with a neutral tonality would be the DX200, or if you prefer a slightly warmer tone the Hiby R6 is also pretty good at an accessible price. At the higher end the AK daps are very nice of course.